We want to believe that the elite athletes have everything we don’t. The heavy snatches on social media. The selfies showing a formidable physique. But that isn’t what truly makes them great. It is, instead, the willingness to be humbled and the ability to patiently push for fractional improvements. 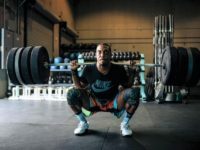 What most people don’t realize is the best athlete —the strongest or most talented— is often not the one atop the podium. The smartest one is. 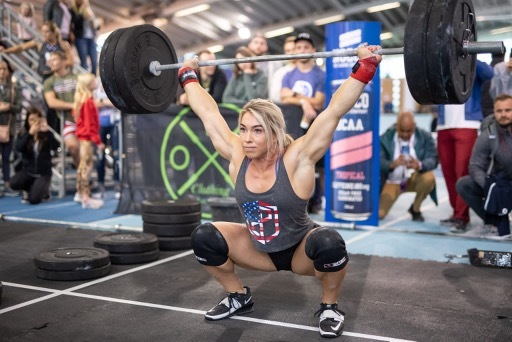 How scary it was then to watch Colleen Fotsch at this year’s Granite Games, chipping away at a Day 1 deficit, never finishing outside of the Top 15. The former Olympic-level swimmer showed over a career-long four-day competition that it is her mettle, not the shiny first-place purse that competitors should take note of. In Fotsch’s world, nothing is unaccounted for. Rest days are purposeful, filled with a few low-intensity pieces. 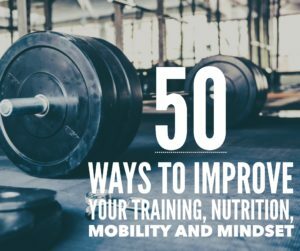 The 28-year-old, working towards a masters in kinesiology from Michigan State University, has a homework schedule to stay on track. Even in nutrition, Fotsch —who started working with a coach two years ago— is meticulous. Still, there was a time Fotsch wasn’t sure if she could commit to CrossFit at all. For as long as she can remember — at least through high school— there was a nagging ache in her shoulders. Sometimes they’d feel fine. Other times they wouldn’t. It was something Fotsch, who swam butterfly, just learned to deal with. After all, a lot of swimmers have overuse injuries in their shoulders, a result of thousands and thousands of grueling, repetitive laps in the pool from a young age. For Fotsch, a two-time NCAA Champion at UC Berkley, shoulder discomfort came with the territory. 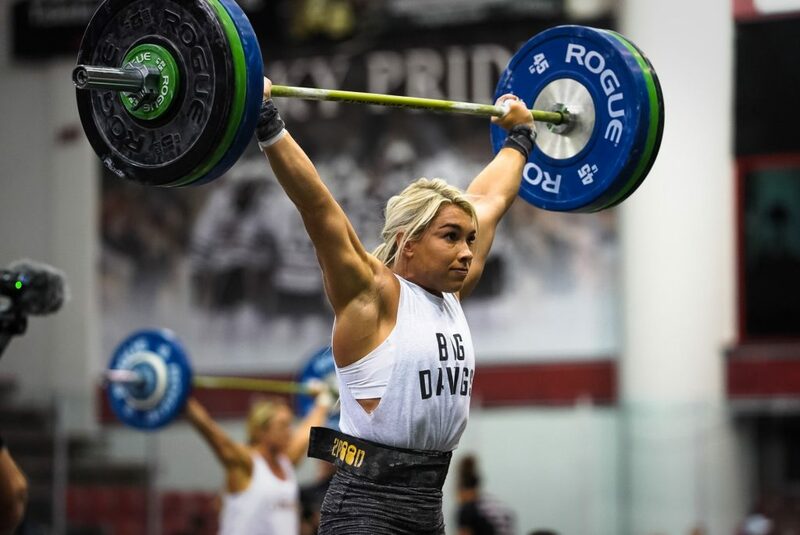 When she got into CrossFit in 2014, after watching Regionals as a fan that year, Fotsch again found ways to work around the flare-ups. By 2016, she was a rising star, having ascended from 23rd to seventh in the ultra-competitive California Regional. If she just kept grinding, she figured, she’d qualify for the CrossFit Games the following year. But training later that summer was a mess. The occasional scale for her shoulders morphed into every day pain and the frustration was enough to send Fotsch to get an MRI. If nothing else, to give her some peace of mind. She was on her way to the gym to coach when she got the phone call that made her heart drop. She had an 80 percent tear in her left rotator cuff. If she wanted to keep working out, she needed surgery immediately. Surgery did not go as expected. The damage was worse than the MRI had shown, with Fotsch likely suffering the tear in college. She had been unknowingly layering kipping movements, heavy lifting and lots of volume on top of a wonky shoulder. Fotsch, who has a lot of people on Instagram in similar situations reach out to her, said she tries to prepare them. It was months before Fotsch could lift her arm over her head. She needed assistance for everything. Little things, like putting her hair in a ponytail, were impossible. When she was finally cleared, push-ups were on her knees. Planks terrified her. She wanted to compete, but at what cost? She knew she couldn’t go through this again. Little by little, Fotsch started to come back. 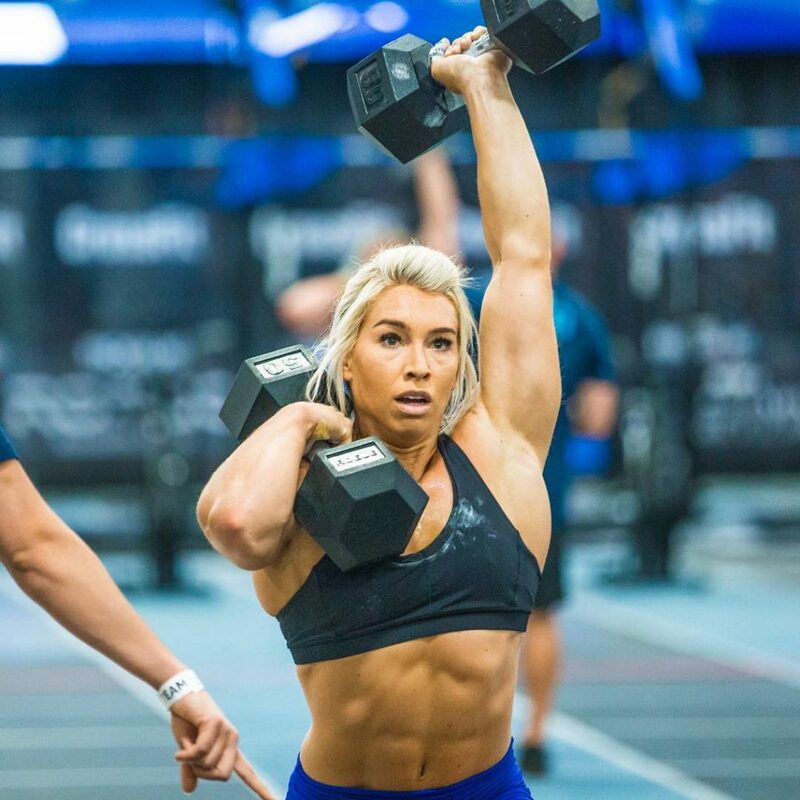 By May her team, NorCal, was standing atop the podium at the California Regional punching its ticket to the 2017 the CrossFit Games. It’s an inspiring success story. But Fotsch wanted more. It’s been the craziest thing she’s ever done, the regimented Fotsch packing up her things and moving out to Arizona last fall. It had been eating at her for quite some time. Was she really doing enough? Fotsch, who briefly served as Cal’s strength and conditioning coach after her swimming days were over, wasn’t sure. A voracious learner, she was constantly wondering in the months after the Games if there was something missing. She found it in the Grand Canyon State, where Fotsch –whose ambition beat out her fear– moved to work extensively with Lee. Gone were the team of specialists: a nutrition coach, a barbell coach, a gymnastics coach, etc. Lee, under the all-encompassing OPEX model, would do all that now. The pair had met several years back through the now-defunct National Pro Grid League and linked up through mutual friend Tennil Reed. Fotsch knew after ’17 that she wanted to compete as an individual. The challenge was simple: How could they make her shoulder strong enough to handle the volume required? Fotsch’s shoulder stability wasn’t the only overhaul. Everything from her recovery approach to her mentality was fine-tuned in Arizona. If shoulder surgery had taught her what adversity was like, Arizona showed Fotsch how to get past it. “As an athlete, you learn so much from the lows and a lot from the highs.” Lee said. That mental toughness was on full display in St. Cloud Minnesota. Fotsch had never done a four-day individual competition and put on a tremendously consistent performance to win the Granite Games. Her shoulders and body felt the best they ever have. So did her mind. Fotsch is no longer afraid to take weeks off, like she did earlier this month after the WZA online qualifiers. 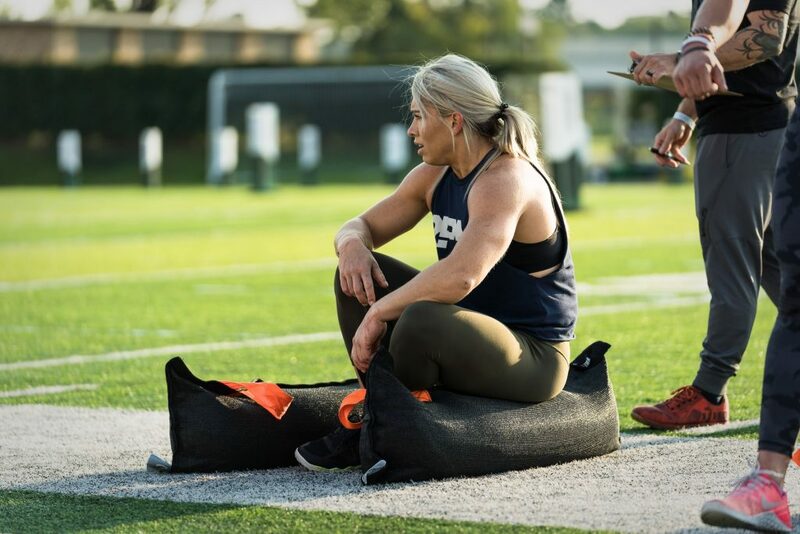 She knows where the finish line is, and she’ll do everything in her power to get there: to compete at the CrossFit Games as an individual. “The one thing I can say for sure is I’m by far the best version of myself Ive ever been. That’s what gives me confidence,” she said. This is part of a series highlighting OPEX and its new Mixed Modal course. You can read more about that here. 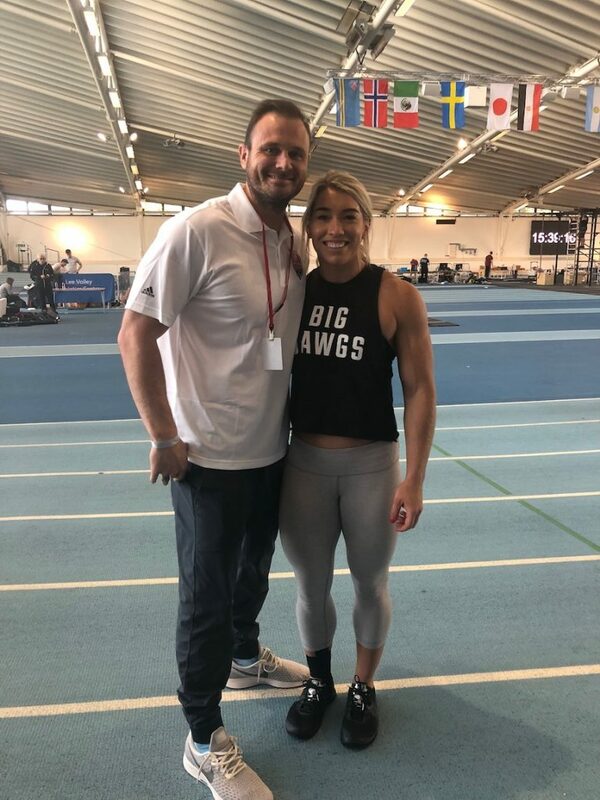 big dawgs, colleen fotsch, crossfit, CrossFit Games, mike lee, opex, shoulder surgery. Bookmark.